The Culligan D-250A Water Filter Set filters the water twice producing healthier and better-tasting drinking water and cooking water. 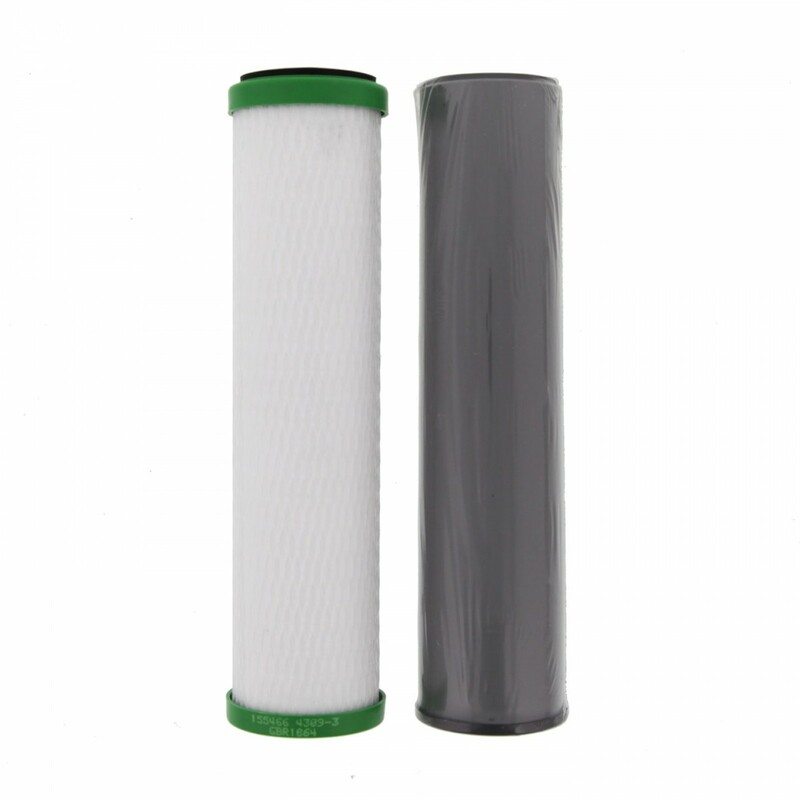 The Culligan D-250A filter set consists of one granular activated carbon cartridge and one carbon block cartridge. The Culligan D-250A water filter has been tested and certified by NSF International to NSF/ANSI Standard 42/53 in models SY-2300, SY-2300S, and SY-2650. The Culligan D-250A water filter cartridges reduce sediment, bad taste, and odors and is recommended for use with city and well water supplies. 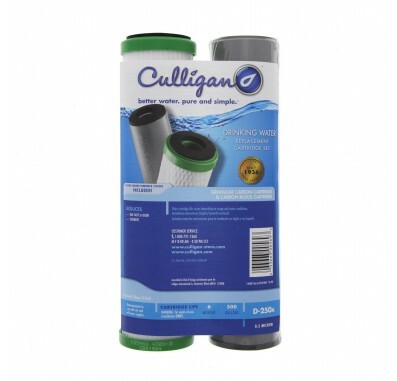 The Culligan D-250A filter dimensions are 9.75-inch x 2.4-inch x 2.4-inch. The Culligan D-250A is a 0.5 micron extra fine water filtration set. The Culligan D-250A water filters are easy to install in under sink water filter systems. Culligan D-250A under sink water filter life is up to 500 gallons or 6 months. The water filter life also depends on the quality of your water and your water usage.